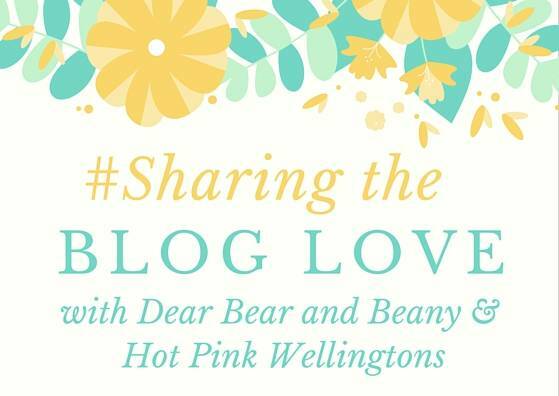 Welcome to week four of Sharing the Blog Love my linky, which I co-host with the lovely Katy from Hot Pink Wellingtons. This week is the start of me juggling everything with no preschool for Alice, eek! There might be some late night commenting from me for the next few weeks. It was another great week with lots of you lovely people joining us, thank you. Katy and I are always amazed at how many people join us and we are both enjoying reading all your posts and discovering some new blogs. ** This has been missing from a few posts and we don’t want you to miss out on being featured as a showcase post** Please make sure you add the badge to your posts, to be in with a chance to be chosen as a showcase post.